There are over eight months until the 2019 World Championships. Yomif Kejelcha is ready for them to start next week. 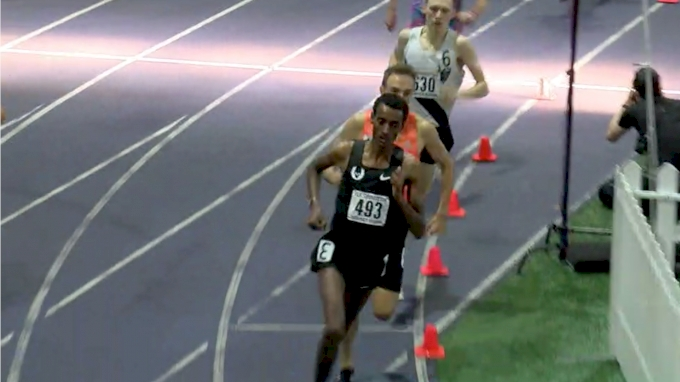 The two-time world indoor gold medalist from Ethiopia opened his season with victories in the 1000m and mile at the UW Indoor Open in Seattle. Both were the fastest time ever run at the Dempsey Indoor -- a facility that for many years has hosted very fast people running in races with the express purpose of running very fast times. Kejelcha’s last appearance on the track came at the end of August in the Diamond League 5000m final. There, he ran 12:46.79 to smash his personal best and finish second in the deepest 5000m race in history. Fast forward to Saturday in Seattle and it looked like the Kejelcha from the end of August had been transported to mid-January. In the 1000m, he held off his Nike Oregon Project teammate Clayton Murphy to win in a 2:18.34. Impressive in its own right, that race ended up just being Kejelcha’s shake out for what came 50 minutes later. Kejelcha sat behind two pacemakers in the early laps of the mile, passing 800 meters around 1:56. With just over 600 meters remaining, Prakel (the second pacer) stepped off and Kejelcha was at the front. Eric Avila and Amos Bartelsmeyer were close behind, but Kejelcha’s lead grew with each stride in the final two laps. He bounced down the final straightaway to finish in 3:52.61. 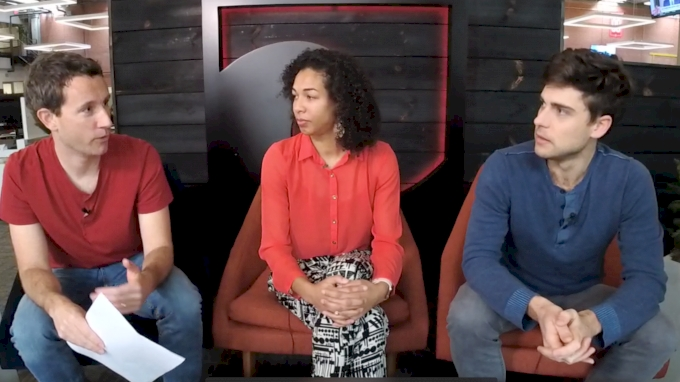 That’s a mark only five people bested in all of 2018 -- indoors or outdoors. Kejelcha’s run was a clear indication that the championship year has arrived and he is going to be a large part of it. Bartelsmeyer, in his first year out of college, closed well to place second in 3:55.32. 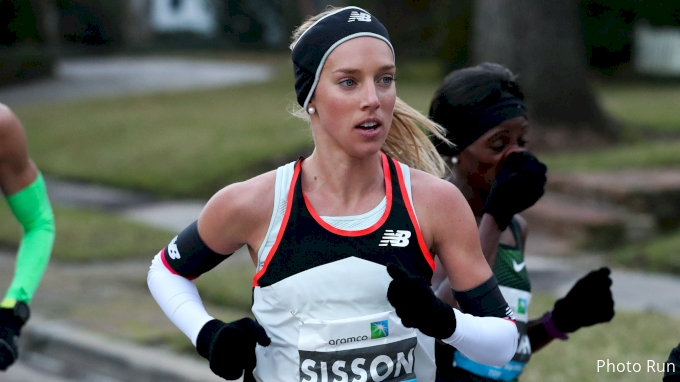 On the women’s side, Nike Oregon Project’s Konstanze Klosterhalfen pulled off the same double. The 21-year-old from Germany who has been training with the group for two months ran 2:43.07 in the 1000m and 4:29.06 in the mile. The mile began ambitiously with the pacers taking the pack through 66 seconds 400m. But it didn’t slow too much from there. 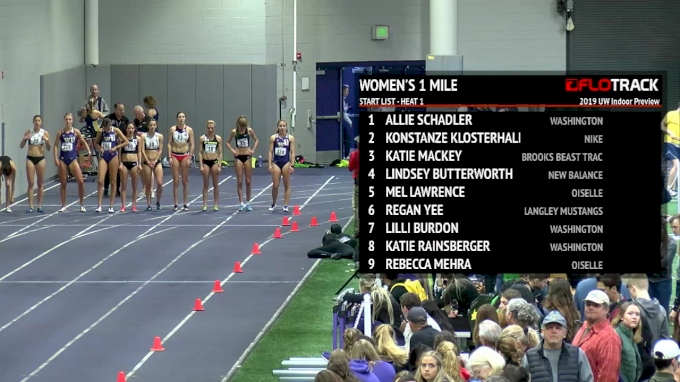 Klosterhalfen maintained her lead over the final 400m and finished one second ahead of Katie Mackey (4:30.02). In the 1000m, Oregon’s Susan Ejore ran 2:44.84 to take second in the 1000m. She’s expected to be a key piece for the top-ranked Ducks this season. In the women’s 3000m, Eleanor Fulton ran 9:02.84 to get the wire-to-wire victory. She was challenged late by Shannon Rowbury, but Fulton had enough to hold her off. Rowbury ran 9:03.00 in her first race since having a baby last summer. The men’s 3000m had some drama late with a handful of men still in the mix with 800 meters to go. The pre-race favorite Craig Engels eventually asserted himself, running 7:50.79 to finish ahead of Dillon Maggard (7:51:84) and Henry Wynne (7:52.23). In the college ranks, the championship goal is more visible. 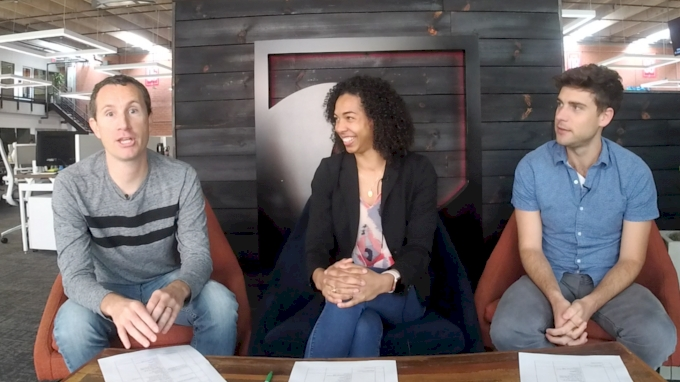 The NCAA Indoor Championships are in the beginning of March and there is little time to waste. Penn State’s Danae Rivers opened her season with a collegiate record of 2:38:38 in the 1000m. The junior went through the 800m in 2:08 and then closed in 30 seconds to better Kaela Edwards’ 2:40.79 from 2017. The 1000m seems like the optimal distance for Rivers, who has qualified for the NCAA meet in both the 800m and the 1500m. In the men’s 1000m, Georgetown’s Joe White went 2:21.99 to start his 2019 off with a win. Freshman Jacory Patterson of Virginia Tech introduced himself to the NCAA with a world junior record of 32.49 in the 300m at the Virginia Tech Invitational. Patterson was the South Carolina state high school champion in the 400m last spring and has a personal best in that event of 46.98. Patterson’s run wasn’t the last of the standout freshman performances. 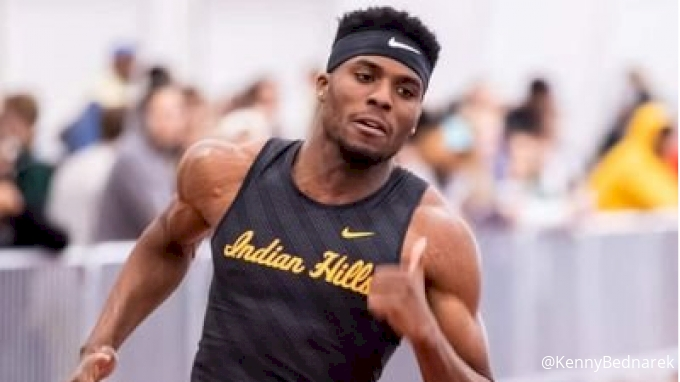 Kenny Bednarek of Indian Hills Community College posted a 20.60 in the 200m at the Hawkeye Invitational, winning his heat by 1.1 seconds. Bednarek already has a 45.93 to his name from December. Both are world leads. The top hurdle time of the year also came from the Hawkeye Invitational. Post-collegiate Aaron Mallett ran 7.63, equalling his lifetime best. Reigning 400m NCAA outdoor champion Lynna Irby of Georgia ran 37.14 to win her section in the 300m at the UAB Blazer Invitational. However, Tamara Clark of Alabama posted a 37.01 in the next heat to turn in the fastest time of the day. The top men’s 60m times came from the Clemson Orange and Purple Meet where Florida State’s Kasaun James, Cravont Charleston of NC State and Bryand Rincher of Florida State took the top three spots. James ran 6.57, a huge improvement on his previous best of 6.73. Charleston finished second in 6.59 and Rincher was third in 6.60. 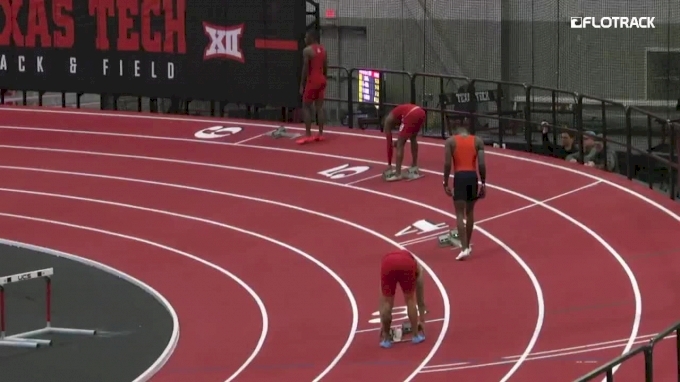 The men’s 60m wasn’t quite as quick at the Texas Tech Corky Classic, but Andrew Hudson got a nice start to his season with a 6.65 win. 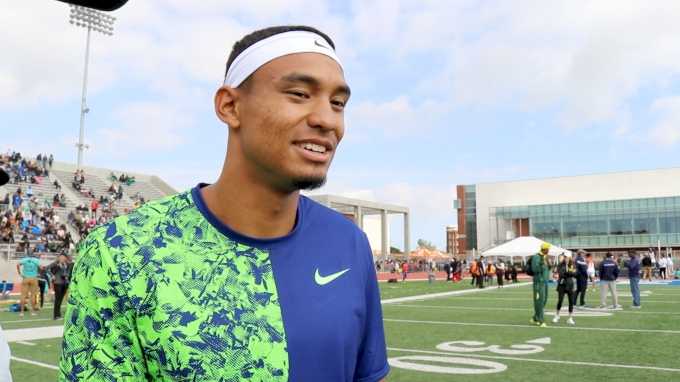 The senior from Texas Tech edged his teammate Jacolby Shelton by .02. Hudson came back later in the meet to anchor the 4x400m relay, teaming up with Divine Oduduru (who didn’t run an individual event on Saturday), Vincent Crisp (the winner of the 600-yard) and Tyreek Mathis. The quartet ran 3:07.41 to beat Houston by just over a second.